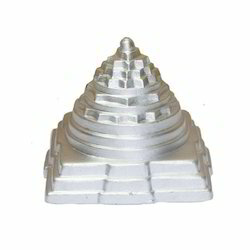 Pioneers in the industry, we offer parad mercury lord krishna, parad mercury shankh & conch, parad mercury swastik pyramid, parad mercury owl, parad saraswati murti and pure parad pyramid 91 from India. Parad (Mercury) Lord Krishna Puja helps the devotee to fulfil all desires and requirements. Lord Krishna is the 8th incarnation of Bhagwan Vishnu (Hindu Lord). Mercury Lord Krishna helps to win over evil and all odds. Lord Krishna taught us to perform our responsibilities and duties well and with rituals. He also believes in good karma to attain Liberation (Moksha). Worshiping Parad Lord Krishna offered by AstroDevam gives us blessings to achieve materialistic and spiritual desires. · Parad (Mercury) Lord Krishna Idol removes Nisantaan Dosha (Childlessness) and makes your married life blissful. · Mercury Lord Krishna Murti brings prosperity and success. · Parad (Mercury) Lord Krishna Idol also helps to win over enemies and competitors. · Parad Idol of Krishna also protects us from the negative energies. 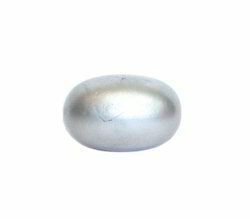 Parad (Mercury) Shankh is a sacred Hindu divine product. Parad Shankha (Conch) represents glory and prosperity. Mercury Shankh/ Conch attracts wealth and removes Vastu Dosha. 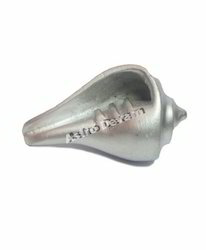 Parad (Mercury) Shankh / Conch should be kept in every house for attaining peace of mind. Daily worship of Mercury Shankh can bring success in every undertaking. These types of Shankhs/ Conches are specifically used in Tantrik Vidya. At home, Parad (Mercury) Shankh attracts harmony, wealth, success, prosperity and happiness. · Parad (Mercury) Shankh brings peace, happiness, concentration, dhyana and supports in Salvation. · Mercury Shankh attracts wealth, harmony, prosperity and happiness. · Parad Shankha is the harbinger of positivity in the atmosphere. Parad (Mercury) Swastik Pyramid is the best answer to all Vastu problems. 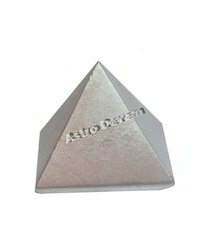 The multipurpose Mercury Swastik Pyramid can be used to bring good fortune, wealth, prosperity and success at offices as well as homes. 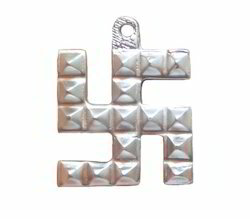 Parad (Mercury) Swastik Pyramid is an auspicious sign of good luck & success. Parad (Mercury) Swastik Vastu Pyramid not only brings positivity in the surroundings, but also brings fortune to the person. 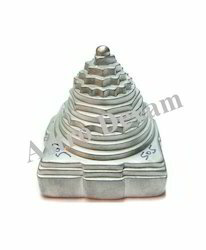 · Parad (Mercury) Swastik Pyramid well energized by AstroDevam.com drives away all sorts of negativity from the life. · Mercury Swastik Pyramid also removes difficulties in all undertakings. · Parad Swastik Pyramid also brings fortune to the person. 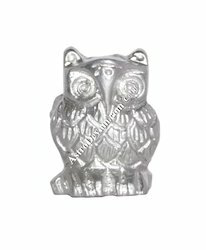 In Ancient Vedas, Mercury Owl is a very strong sign of wealth and good luck. Parad (Mercury) Owl Statue is a sign of protection from evil. Parad Owl statue brings positive energy (chi) in the house or office. Installing this wonderful Parad Owl brings the positive chi in the surroundings. Parad Owl statue raises your mental capacities, wealth and knowledge accumulation. Parad Owl is an ideal present for the students and business persons. It is fortunate to have the Parad Owl statue in the work place if your work is very responsible. · Keeping the Parad (Mercury) Owl statue near places where cash is kept in the office or home increases the wealth throughout the year. 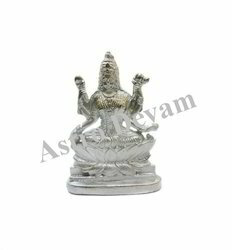 · Keeping Mercury Owl statue also helps in making one’s married life blissful and happy. 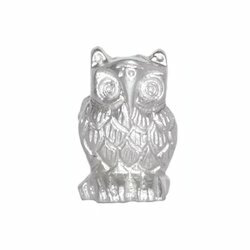 · Keeping Parad Owl Idol also provides knowledge, wealth and prosperity to all family members. Worshipping Parad Goddess Saraswati (Veenapani) Idol is considered very auspicious on Vasant Panchami festival. 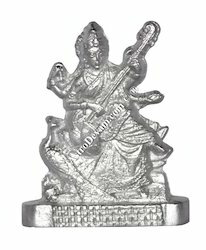 Hindus worship Mercury Saraswati statue by AstroDevam.com to attain spiritual wisdom and liberation (moksha). Parad (Mercury) Saraswati Idol also helps the students to increase their concentration, knowledge and memory power. Parad (Mercury) Saraswati is also considered very auspicious in reducing the bad influence of Planet Mercury (related to career and education). · Parad (Mercury) Saraswati is the best option for people involved in creative works. 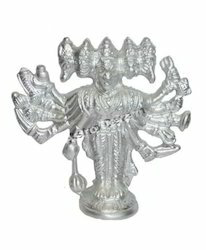 · Parad Saraswati Idol helps in attaining spiritual wisdom. · Parad (Mercury) Saraswati is auspicious for improving concentration and memory power. · Worshipping Mercury Saraswati helps in knowledge empowerment and shining in creative fields. Pure Parad Pyramid 91 - Authentic Parad 91 Pyramid removes the negative energy from the surroundings and harmonize the aura around us. It also helps to rectify Vastu dosha of the building. 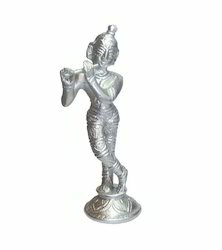 Pure Parad NandLal Statue - Parad Lord Krishna (Mercury) Krishna Puja helps the devotee to fulfil all desires in life. Lord Krishna guides us in the meaning of love, affection, devotion, knowledge and true freedom from karma. Parad (Mercury) is a naturally occurring element and the most propitious metal. It is believed to be the sperm of Lord Mahadeva (Shiva). Vedic scriptures state that Mercury (Parad) is the purest and the most auspicious metal. Mercury has important usage in Ayurveda and is also called fluid metal. The supreme benefits of Mercury (Parad) include protection against black magic, increasing self-confidence and nullification of Black Magic. Parad (Mercury) Panchmukhi Hanuman protects one from the evil influence of the occult, and emotional instability. Lord Hanuman is also called as the living Lord of Kalyug. The wearer gets courage, strength, fame and name and material comforts. Original Mercury Panchmukhi Hanuman Idol by AstroDevam also helps in removing all pains and worries from one’s life. Worshipping Parad Panchmukhi Hanumanji Idol helps to accomplish one’s desire. · Parad Panchmukhi Hanuman improves your physical and mental health. · Parad Panchmukhi Hanuman helps you to attain the goals of your life. · Parad (Mercury) Panchmukhi Hanuman increases family peace. · Parad (Mercury) Panchmukhi Hanuman helps in reducing the sinful effects of Planet Saturn (Shani Dasa). Parad (Mercury) Ganesha/ Ganpatire moves problems and guarantees victory in human activities.The Paradis the most auspicious metal out of all metals. Parad (Mercury) Ganpati bestows the worshipper with great knowledge and success. Parad Hanumanji (Lord Hanuman) is known for his exceptional power and Ram Bhakti (devotion to Ram). Lord Hanuman is the God of bravery, power and is widely respected by Hindus all around the world. If one feels that he is trapped with obstacles in career or family life, then worshipping Parad (Mercury) Hanuman Statue is must for quick recovery from it. Parad (Mercury) Hanuman by AstroDevam is also worshipped by the devotees to eradicate the fear of spirits, occult or ghosts. · Parad (Mercury) Hanuman improves your physical and mental health. · Parad (Mercury) Hanuman gives immense relief from prolonged health problem. · Parad (Mercury) Hanuman removes the problems related to Planet Saturn (Shani Dasa). Parad (Mercury) KuberParadbestows us wealth luck, success, fortune and harmony in your life. According to Hindu Mythology, ParadKuberis considered as a Lokpala (the protector of the world).Lord Kuber is the God of wealth and valuable properties. Worshipping him on a regular basis can bring transformation in one’s wealth and fortune. Lord Kuber is signified as a fat God, garlanded with expensive ornaments and carrying a moneybag, and a stick. Overall, Mercury (Parad)Kuber brings victory in all aspects of your life. Parad (Mercury) lakshmi/ Laxmi brings good fortune in your life. Worshipping Parad (Mercury) lakshmi/ Laxmibrings success in everyarena of your life.Parad Lakshmi also helps in finding hidden wealth. Parad (Mercury) Meru Shree Yantra Parad (Mercury) Meru Shree Yantra is the fortunate, auspicious and powerful three-dimensional Yantras, which not only gives you profits in personal life, but also proves beneficial in business. Parad Meru Shree Yantra is the source of attaining all materialistic desires through inner cosmic power.It assists in annihilating all sorts of difficulties and worries in our life. Parad (Mercury) Meru Shree Yantra defends us from the evil effects of negative energy. Pancha denotes five and Mukhi denotes faces. 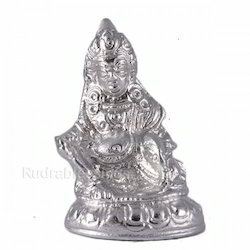 Parad (Mercury) Panchmukhi Ganesh removes all sorts of obstacles and problems from life. 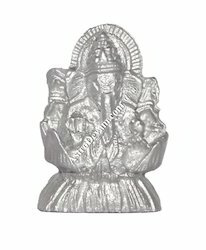 Parad Panchmukhi Ganesha represents the supremacy of the utmost Deity that removes obstructions and ensure success in human activities. 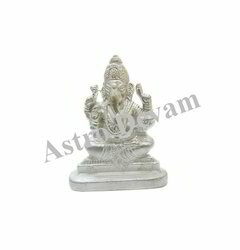 Mercury Panchmukhi Ganesh by AstroDevam, when kept at home and office gives success, intelligence, peace, prosperity and good fortune. · Parad Panchmukhi Ganesha brings wealth, name and fame. · Parad Ganapati removes obstacles from the path of your success. 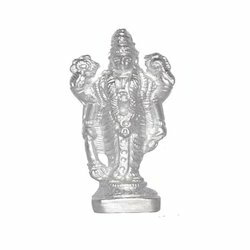 · Padrasam Panchmukhi Ganapati brings success in all your undertakings. · Mercury Ganapati bestows knowledge, intelligence and harmony. Parad (Mercury) Shree MeruKachapYantrathe most valuable and beneficial Yantra. The name, Shree Yantra means instrument for the harmony and prosperity. 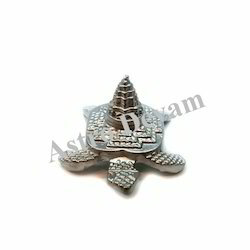 In Hindu mythology, turtle carried the weight of the earth on its back-side.ShriYantra brings positive energy around us.ParadShree MeruKachapYantra also offers good luck, wealth and good health.Mercury KachchapShriYantrais considered beneficial for saving us from the evil eye, occult, bad luck and negative energies. Parad(Mercury) Mala / Rosariesis the pure metal that gives wealth, prosperity and good luck. It is also believed that chanting (Japa) with Parad Rosary controlssicknesses such as High Blood Pressure, Diabetes and Asthma.Regular worshipping ParadMala also helps in keeping GoddessLaxmi always at home. It also helpsin bringing instant luck, position,name and fame in the life of a wearer. 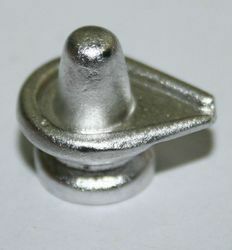 Parad (Mercury) Lingam represents Lord Mahadev (Shiva). Worshipping Parad Lingam brings attachment and love among the couples. Parad Lingam also reduces distresses, miseries, sorrows, anxieties, stresses, etc. of its worshippers. Parad (Mercury) Pyramid emits positive energy in the environment and abolishes the negative energy caused by Vastu defects. The four corners of Parad (Mercury) Pyramid are the symbols of peace, truth wisdom and seriousness. Its pointed part symbolizes tri-level divine power. The southern part of the Pyramid represents hot, northern portion represents cold, eastern is for light and western part represents darkness. 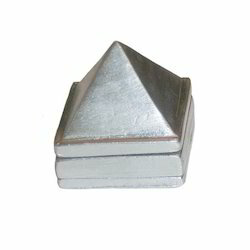 Mercury Vastu Pyramid increases confidence, strength and memory. · Mercury Pyramid is a well-known remedy for eliminating the negative energy caused by Vastu defects. · A Parad pyramid is a powerful Vastu instrument that always helps a person in every walk of life. · A Pyramid made up of Parad (Mercury) also acts like a medicine. Mercury Pyramid by Astro Devam is a huge store of divine powers. Parad (Mercury) Vishnu Statue blesses one with peace, health, name and prosperity. Mercury Vishnu Idol also blesses the person with peace and prosperity to the mind and body.Lord Vishnu is regarded as the major deity in Hinduism. By performing Parad (Mercury) Vishnu IdolPuja whole heartedly one would be blessed with success and tranquillity. As Deity Vishnu is known as the preserver, the Parad Lord Vishnu Murti by AstroDevam.com gives the strength to fight evil and boldly face the difficult situation. · Blesses the devotees with happy and successful life. · Makes personal and professional life full of success. · Helps to attain Moksha or salvation. · Brings harmony, peace to the mind, body and soul. Parad Gutika/ Bead is the most auspicious and pure item available at AstroDevam.com. It is described in Vedic Texts (Purans) that using Parad (Mercury) Gutika / Bead in the form of a locket/ bracelet helps in controlling several diseases such as asthama, blood pressure, blood related issues, Diabetes, etc. 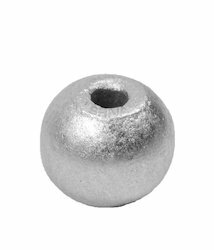 This Mercury Bead has significance in Ayurveda too, and has proven to be the best remedy to destroy all sorts of negative aspect surrounded by the worshipper and their family. If you are lacking fortune, happiness and success in your life, then you should start using Parad Gutika/ Bead in the form of a locket/ bracelet. 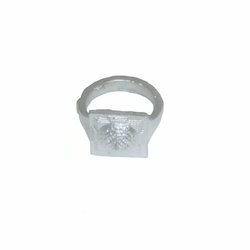 · Parad (Mercury) Gutika/ bead helps to increase stamina. · Parad (Mercury) Gutika/ bead is an auspicious tool for meditation and healing. 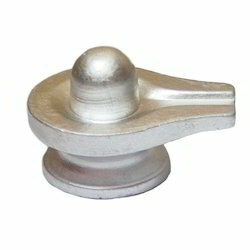 · Mercury Gutika/ bead is an excellent tool for a siddha kundalini sadhana. 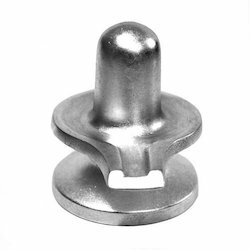 · Mercury Gutika/ bead also helps during Kundalini awakening. Parad Shiv Parivar usually denotes the family of Lord Shiva, which includes Lord Shiva or Shivlingam, Mata Parvati, Deity Ganesh, Deity Kartikeya and Nandi. Regular worship of Parad (Mercury) Shiv Parivar yields overall prosperity, success and harmony in personal and professional life. 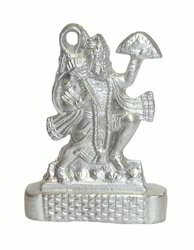 Mercury Shiv Parivar protects devotee from evil spirits such as jealousy, anger, irritation and lust. According to Vedic texts (Puranas), Mercury Shiv Parivar protects devotee from evil forces and fearful situation. Parad (Mercury) Shiv Parivar by AstroDevam.com also helps to curb all negativity from your life. · Lord Shiva Parivar blesses you with long, healthy and harmonious life. · You can get the blessings of these deities together. · Lord Kartikeya will protect you from your adversaries. · Lord Ganesha bless you with a peaceful life. 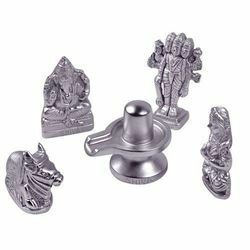 · Lord Shiv Parivar is an ideal gift for newly wed couples. Parad Lakshmi Ganesha Murti helps in finding hidden wealth. It also brings good fortune in your life. It brings success in all aspects of your life. 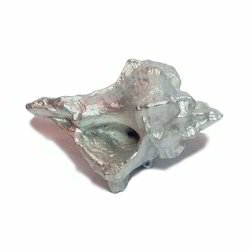 Mercury Conch (Parad Shankh) is a sacred hindu object. Mercury Shankh attracts wealth and glory and removes vastu dosha. Parad Shankh should be kept in every house for achieving peace of mind. Daily worship and offering of prayers to it can bring success and achievement. 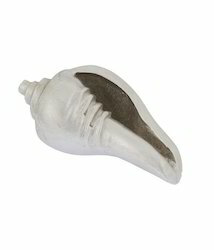 Placing Mercury Shankh in a business premises also promotes success in business. Mercury Conch( Parad Shankh) is a sacred hindu object. Mercury Shankh attracts wealth and glory and removes vastu dosha. Parad Shankh should be kept in every house for achieving peace of mind. Daily worship and offering of prayers to it can bring success and achievement. Placing Mercury Shankh in a business premises also promotes success in business. PureParad (Mercury) Meru Shri Yantra - Parad (Mercury) Meru Shri/ Shree Yantrabring material prosperity. Parad Meru Shree Yantra assists in annihilating all sorts of troubles and sorrow in our life. Parad Shri Maa Laxmi Charan Paduka For Prosperity - Laxmi Charan Paduka made of Pure Parad is considered auspicious (as per old Vedas). 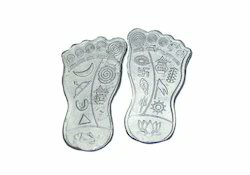 Keeping Mercury Laxmi Charan Paduka in Puja Room, Office, Home or Business Premises helps in reducing your monetary problems. 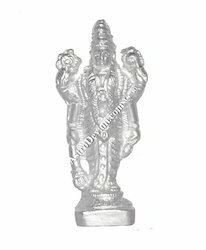 Pure Parad Shiv Parivar Statue - Parad Shiv Parivar is very popular in Hindu and it protects devotees from evil spirits such as greed, annoyance, anger and lust. Shiv Parivar helps to curb all negativity from your life. Pure Parad Owl - Parad (Mercury) Owl Statue brings positive energy (chi) in the house or workplace. Installing this beautiful Owl Statue brings the positive energy in the surroundings. 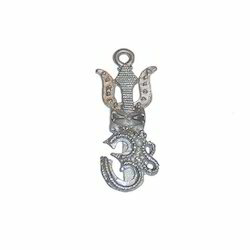 Pure Parad Trishakti Pendant - Parad is a pure, auspicious, very rare and sacred item. Parad Trishakti representing three most auspicious signs are “SWASTIK, OM and TRISHUL gives protection to your family and removes any bad luck and misfortune. 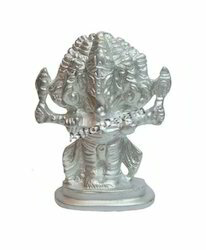 Pure Parad Ganesha Murti- Parad (Mercury) Ganpati Statue is an effective Vastu tool for reducing obstacles and miseries of life. It also bestows knowledge, understanding and wisdom. 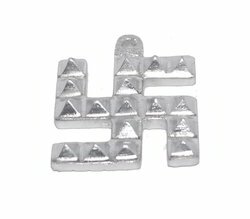 Pure Parad Pyramid Swastik (Hanging) - Parad (Mercury) Swastik Pyramid is used in Vastu defects correction. It is used to generate positive energy. Parad Swastik also gives you success, harmony and progress in the field of business and career. Parad Panchmukhi Hanuman protects one from the evil influence of the occult, and emotional instability. Lord Hanuman is also called as the living Lord of Kalyug. The wearer gets courage, strength, fame and name and material comforts. Original Mercury Panchmukhi Hanuman Idol by AstroDevam also helps in removing all pains and worries from one’s life. 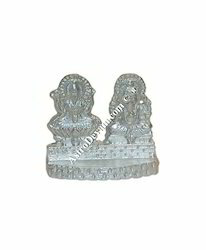 Worshipping Parad Panchmukhi Hanumanji Idol helps to accomplish one’s desire. · Parad Hanuman helps you to attain the goals of your life. · Parad Panchmukhi Hanuman increases family peace. · Parad Panchmukhi Hanuman helps in reducing the sinful effects of Planet Saturn (Shani Dasa). Looking for Parad Mercury Items ?